This 2,000+ square foot open space will be someone's special home! It overlooks Gloucester Harbor and has views out beyond the Beauport Hotel. Enjoy watching whale watch boats and schooners sail in and out of the harbor from all areas of what will be a magnificent place to live. 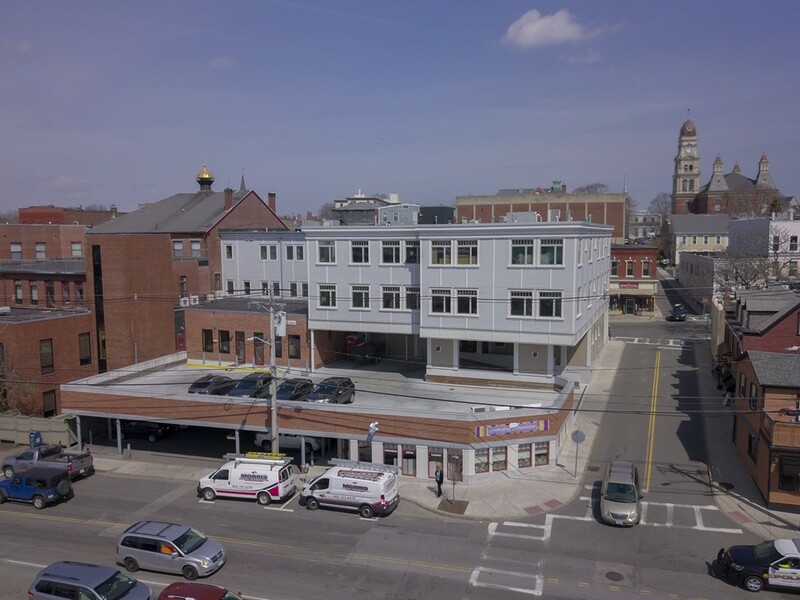 Imagine being able to stroll over to Sugar Mags for Saturday morning breakfast or to the Franklin, Passports, Tonno or any of the other well known downtown restaurants without getting in your car. Depending on how you design the space, you'll be able to watch the sun glide over the harbor from morning to evening. The building was built in 2009 - the space is completely open - connections to water and sewer and gas are available. Bring your ideas and enthusiasm and make it yours. The unit comes with two covered parking spots, a storage room and an elevator.